The neighborhood of Casas Baratas after the first 145 houses were demolished, in 2007. After 2007, Bon Pastor was a neighborhood cut in half. Over 600 houses were left, and the residents watched the new flats being built where their original 145 houses once stood, where their neighbors’ blood was shed to enforce their own “right to proper housing”, trying to calculate whether their salaries would permit them to remain in the neighborhood or not. 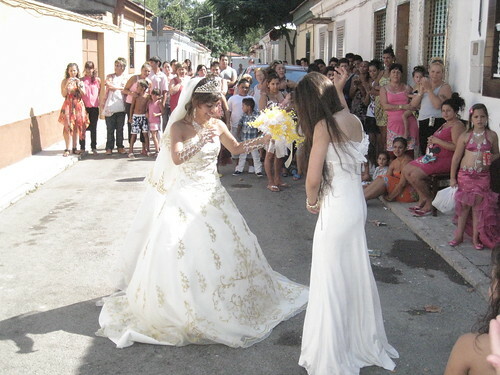 Left: A gypsy marriage in the Cases Barates, August 2010. Photo by Stefano Portelli. 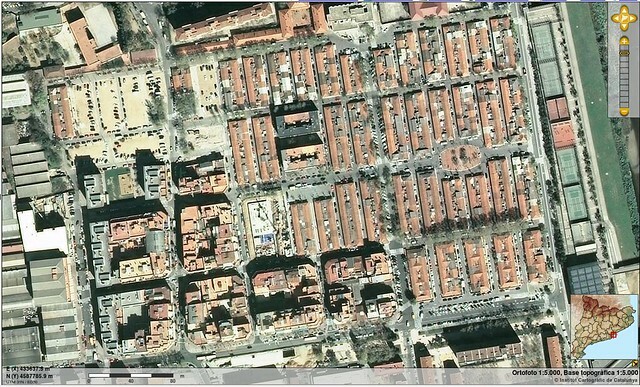 A short-term effect of Barcelona’s Urban Renewal Plan was the fostering of envy and conflict among and inside the families of Bon Pastor. People did’t enjoy partying together or hanging around in the streets any more. Tension was in the air, as Bon Pastor walked relentlessly along its urbanistic death-row. But looking in from outside, it’s not easy to approach to this neighborhood. Both its bad reputation and social distance are barriers more difficult to overcome than its physical distance from the city center. 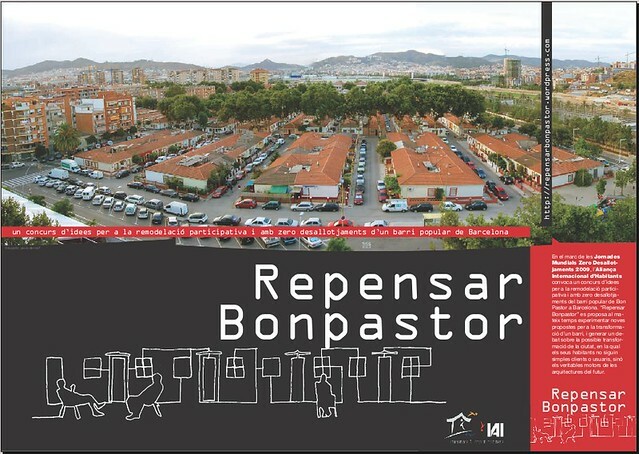 Bon Pastor’s families, former immigrants from southern Spain, mainly speak Spanish: in a city where Catalan is the main language for activists and political militants, this linguistic barrier represents an important obstacle for the neighborhood to be included in the agenda of the protests against real estate speculation. This was the situation when I arrived to Bon Pastor. After a squatting action in defense of the houses, organized by Avis del Barri (‘Grandparents of the Neighborhood’, a group of elder residents who founded an association against the Urban Renewal Plan in 2003) themselves, I realized that the contradictions of the neighborhood were too hard to understand without having a deep level involvement. So, through a group called the Neighborhood Platform Against Real Estate Speculation, I organized a short study on a sample of 150 casas baratas, interviewing the residents and then studying and comparing their opinions through anthropological fieldwork. This study helped me to understand that the demands of Avis del Barri had strong roots in the general feeling of the population: many inhabitants would rather remain in their houses, especially if given proper reform or rehabilitation. After this, a series of activists and scholars began getting involved in Bon Pastor’s affairs. Architects and urbanists organized workshops with neighbors, evaluating the possibilities for reform that the casas baratas would permit; anthropologists close to the Universitat de Barcelona set up a research project on the struggles and memory of the casas baratas (in which I’m involved). Meanwhile, the Urban Renewal Plan goes on, late in its timetable but steady in its intentions. The reason for promoting a competition of ideas is that, though we managed to group together some 10 people interested in studying alternatives for Bon Pastor, we felt that much more could be done if we opened the debate internationally. The International Alliance of Inhabitants offered us its logistics to launch the competition; we began working on it in 2008, and by the beginning of 2009 the competition began. Read the previous post or next (final) post in this series.